Very cool and awesome Hero or Prince riding on a War Lion converted by The Black Dragon Team, perfect for your White Lion themed army! Click for a bigger image! How did you make this and where did you get the body of the lion from? Any chance of buying a conversion like this? is it possible to buy with awesome figurine?? ?and where? I would love a tutorial. i think you guys should just try and have at it yourselves….. its a part of the hobby lol. y copy someone elses work? The lion is, pretty much, straight out of the Chariot kit. Its front legs have been repositioned, covering up most of the problems with the armour, and the mount for the reins has been cut away. The Rider literally looks like he’s straight from the Silver Helms box with the claymore from the Elf Prince box. All in all, it looks like a really easy conversion, i just dont know where the embossed armour on the front legs came from. 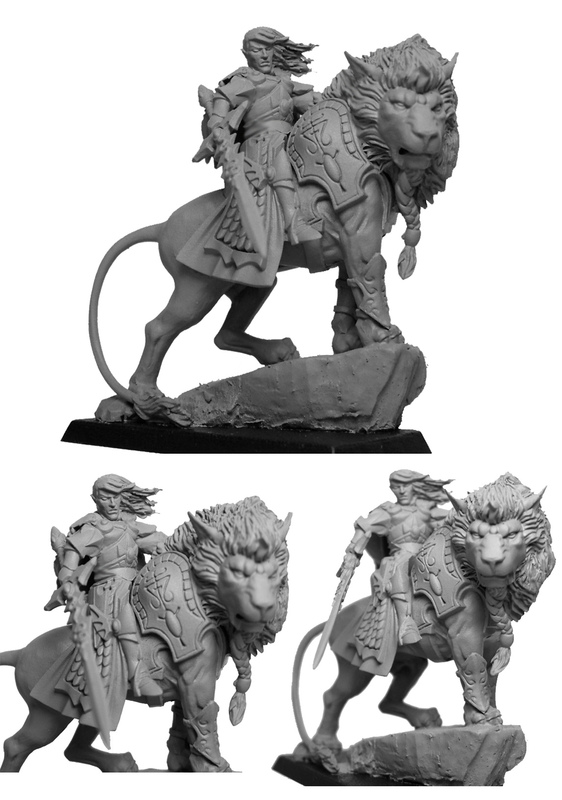 you can find it on http://www.miniaturepainters.com/ and its under High Elf Prince / Noble on White Lion (1 figure) CONVERSION. It’s beautiful, how can I do or buy it ?